Vegetarians and vegans often find it difficult getting enough protein in to their diets. They are usually stuck eating beans and soy products most of which do not actually contain all the necessary amino acids, or what is known as complete protein. A diet lacking in protein can cause many health problems ranging from lethargy and irritability to serious skin conditions, wasting muscles and a weakened immune system. This makes it essential for none meat eaters to get as much protein into their body as possible. The answer to this problem could come from a long forgotten South America Grain called Quinoa. Quinoa grain was once called “The gold of the Incas” and “The mother of all grains” and is known for its high protein content that contains all the amino acids essential for our wellbeing. The name Quinoa grain is in fact very misleading. 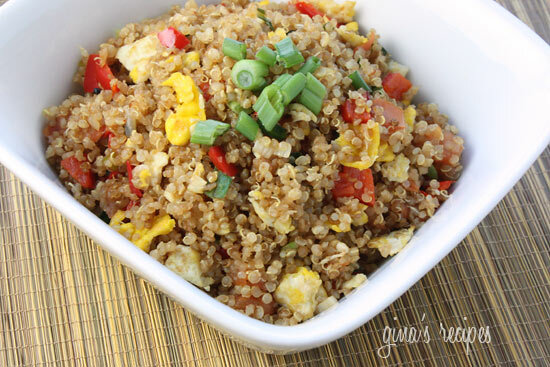 Quinoa is actually the seed from a plant that is closely related to leafy green vegetables such as spinach and beets. It has recently become very popular because of its distinctive nutty taste, amazing versatility and incredibly high mineral content. The benefits of Quinoa actually go far beyond that of a protein substitute for vegans and vegetarians. People who suffer from migraines wouldn’t go far wrong in making Quinoa a regular part of their diet. This is because Quinoa also contains high amounts of magnesium. People who suffer from persistent migraines often have problems sleeping at night, which may be due to a lack of Magnesium in their diets. A Magnesium deficiency can change electrical patterns in the brain causing restless sleep as well as frequent awaking. “It looks like magnesium is important for a good night’s sleep,” says researcher Forrest H. Nielsen. Magnesium is also an important mineral for relaxing the blood vessels, which can in turn lower blood pressure and cholesterol. It can also help in the battle against diabetes and is important for maintaining strong, healthy bones. Iron is one of those minerals that we all know we need, but many of us are not sure exactly why we need it or how to get it. Iron actually plays an essential role in our body by helping to carry oxygen to our heart, lungs and brain. In doing so it keeps our minds alert and our bodies energized. Without enough iron, oxygen distribution in our body slows down and we may begin to get regular headaches, feel sluggish and become easily annoyed. A severe iron deficiency can lead to Anemia, which in certain situations can be life threatening. Around 65 % of Americans actually suffer from iron deficiency and are totally unaware of the fact. This could be cured by using Quinoa instead of rice in a risotto, as just a quarter of a cup contains around 20% of your recommended daily iron intake. This means that if everyone were to eat 3 or 4 cups of the grain a week many Americans would become more vibrant and energetic, which could in turn ease the obesity epidemic. No wonder Quinoa is now listed as one of the top ten super foods. ← Kebab Mahal Indian Resturant.